Corrections to deliberately distorted events around German history, Hitler and the world wars. Comprehensive independent collection of facts de- bunking this abhorrent myth. 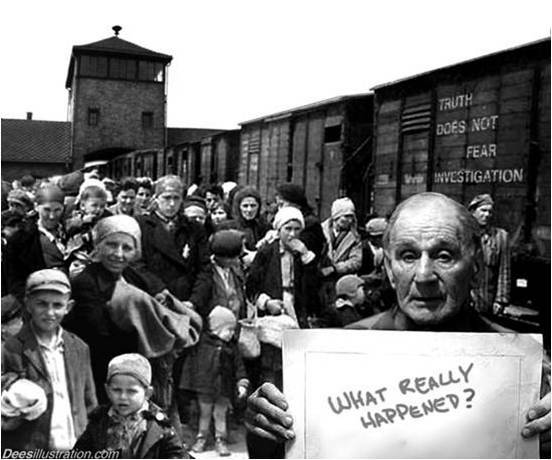 Preview YouTube video Auschwitz – Media lies or the truth at last? Where did all the holohoaxed jews go? What a treasure trove of actual historical information, a true rarity in our fake world. We have been deprogramming ourselves from the false history of the “judeo/christian empire” for a few years now, as time permits. Of course, we are left very little time for such pursuits as we must toil very, very hard just to survive in our democratic land of freedom. The Greatest Story Never Told was a real eye-opener, and terribly depressing, really, knowing how very much the facts have been buried or perverted. Thank you. However not my work, as all I have done is package it all together. But yes you are right, we have been treated just like mushrooms – kept in the dark and fed preverbal shite all our lives. However the cat is out of the bag now. And even if they ‘neutralise’ the internet; the genie Truth is out – and it ain’t going back in. What a great compilation. Don’t ever let anyone tell you that you don’t do great work. I know this one is just a listing, but only the great and thoughtful spot the truth. Keep the banner flying and the light shining. The British had broken the German code prior to the war but only in 1941 did Enigma decrypts pay any dividends. That being said, after all the years of listening to secret transmissions from the camps why was there not one decrypt that revealed homicidal gas chambers nor any other forms of mass extermination? Suffering having known a narcissist?